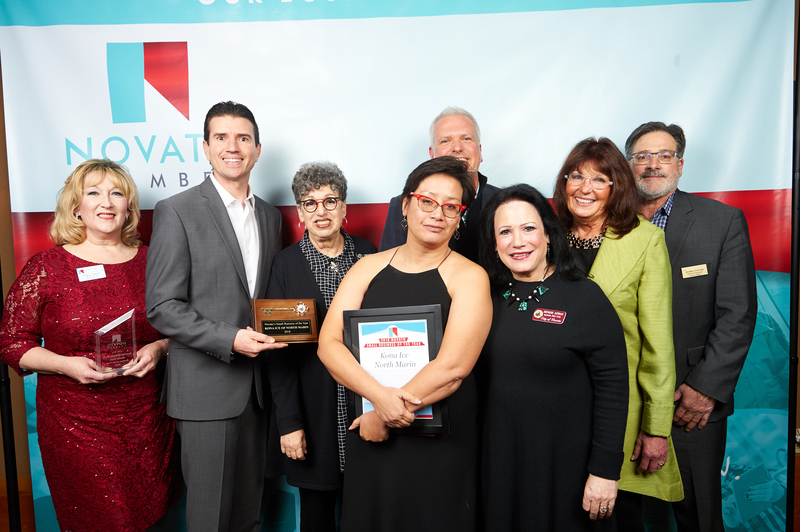 IT IS TIME TO NOMINATE NOVATO'S 2019 LARGE AND SMALL BUSINESS OF THE YEAR! WE ENCOURAGE ALL TO SUBMIT AN NOMINATION. 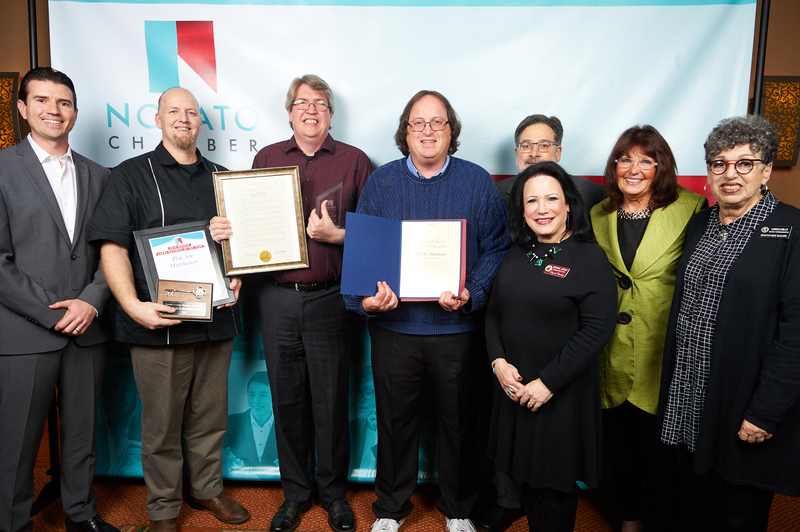 THE NOVATO CHAMBER BELIEVES THAT BUSINESSES CAN MAKE MAKE A DIFFERENCE IN OUR COMMUNITY AND BEYOND. FOR THE ELECTRONIC NOMINATION FORM, PLEASE CLICK THE BUTTON ABOVE. It’s not because they know how to paint a room, or how to install water-smart irrigation, its because after 100 years in business, the folks of Pini Ace Hardware have maintained a level of courtesy, honesty and customer service has since been lost in most business. In a world where giant online retailors are the growing market, small stores including hardware stores are in dire threat. Yet under this threat, Pini Ace Hardware has faced the challenge head-on with innovation, growth and success, whilst NEVER sacrificing their values and dedication to the community. Since their move from Grant Avenue in Downtown Novato, Pini has been able to help more customers and grow its employee base. At first glance, it is difficult to see how the 100+ year old hardware store is shaping its own future, but Pini is not stagnant it is on the move. The store is looking for opportunities to grow, expand and improve. This year, Pini Ace Hardware faced the threat of online retail by implementing their own online purchase system. Customers can pre-order goods at Pini and secure their delivery to the store within 48 hours. Pini is not only joining, but also leading Novato through the 21st century and all while keeping their foundational values of honesty and hard work. Their new location off South Novato Boulevard offers them more space and more opportunities to serve the community. Anyone who has stepped foot into Pini Ace Hardware knows this is Novato’s store. We were sad to not be in the heart of Novato, but our new location allows us to help more people and grow our space so that we can grow our departments and better serve Novato. We are not a one-stop shop yet, but we are getting there. We are on the lookout to always expand our services and enable our customers and our community to grow. Employees are retained because of the company’s longstanding loyalty to its staff, some employees have been clocking-in over 50 years. This is where the community lives. It is where high school athletes go to prep their homecoming floats. It is where choirs and string quartets head to practice and perform for the Novato public. Seasonal sales from scouting troops and service organizations like Soroptimist International welcome customers and help grow their good-works. Despite the move out of the downtown chance are, you still see Pini Ace Hardware in Downtown and all OVER Novato. Pini is a major contributor to Downtown’s events such as the Novato Chamber’s Scream on the Green, the City’s Sunday’s on Sherman and even though Pini Ace Hardware was already a HUGE community partner in so many ways, 2018 saw a dramatic increase in its participation all over Novato. So, in a way, Pini Hardware is still in the heart of Downtown Novato and the community at large. The community that built Pini, benefits every day from this store. Each month, Pini Ace Hardware runs a program that allows customers to “round-up” their purchases and donate to local charities. In 2017 and 2018 Pini Ace Hardware was able to donate thousands of dollars of relief to California wildfire victims in Butte, Napa, Mendocino, and Sonoma Counties – they also supplied masks to residents when air quality levels became too dangerous for even the healthiest residents. Each month they sponsor teams for football, softball, little league and soccer. They run free workshops for kids, parents and homeowners all this while they support dozens of other charities in their day-to-day existence through sponsorship, in-kind donations, and through volunteering. In 2018, Pini Ace Hardware celebrated its centennial anniversary in Novato; business of the year, however, is not about mile-stones, it is about the way a business conducts itself along its journey to success. Pini Ace Hardware embodies the American Dream. Under its leadership, the local hardware store is not only thriving in the 21st century, but it is also sharing its success with its employees and the community at large. No matter the hardships the region faces, Pini Ace Hardware has been ready to lend a helping hand, dust-mask, and support to the community and their love has been felt all over the Bay Area and California. This attitude is not only felt during times of crisis, but also in the everyday practices of the store. Friendly employees greet every patron and welcome questions, ideas and discussion. In the hustle and bustle of the day, Pini Ace Hardware is where the community goes to find answers, support and help. 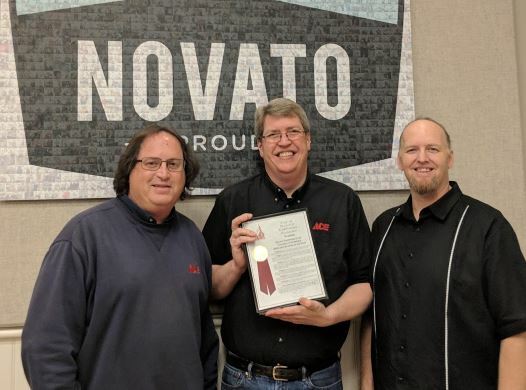 Their love of Novato is palpable in every smile; the Novato Chamber is proud to present Pini Ace Hardware as Novato’s 2018, Large Business of the Year. 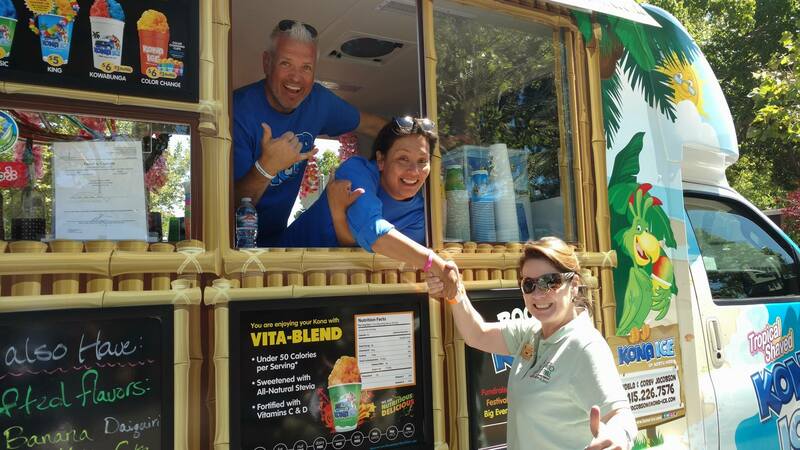 Embedded into the very soul and spirit of Kona Ice of North Marin, is the soul of Novato and this ‘aloha’ family has made the North Bay their ‘ohana’. Their business model insists on local charity. After over 2 years of operation they have donated over $50,000 to local charities, sports teams, schools, and beyond. Adela and Corey Jacobson don’t just drive around in a truck selling ice, they are active in the community and selling a product that is safe, fun and turns every person back into the child that we so seldom indulge. We just love giving back, we don’t consider it charity. To [Adela & Corey Jacobson] it is a purpose, the way we built our business, we do this because everyone needs some support. As we look to 2019, we hope that we can continue growing, because as we grow, so can our giving back. This for us is our calling, it is our purpose, it is not a job. Highly visible, the superheroes in the blue-penguin truck spread their good will and Novato’s name throughout the Bay Area; from San Francisco to Mendocino, Kona and its employees are ambassadors for our community. In less than a few years, Kona is expanding, adding vehicles and even a storefront in Novato. Set to open in 2019, Kona’s new storefront at the Square Shopping Center in West Novato promises to continue to bring their values of charity set forth by the business while being a welcomed new addition to the center. Despite setting proverbial roots into Novato, we can still expect to see them all over our town; from the Farmer’s Market, the Novato Chamber’s Festival of Art, Wine and Music, to Sundays on Sherman and the Pacheco Plaza Concert Series; their growth is our community’s success. Over the course of 2018 alone Kona Ice of North Marin has donated thousands of dollars to support every charity that has asked and every cause in-need; from homeless moms to school PTAs, Kona is there bridging the world of for-profit and nonprofit businesses. They prove daily that we can help each other, and success together is success for all. 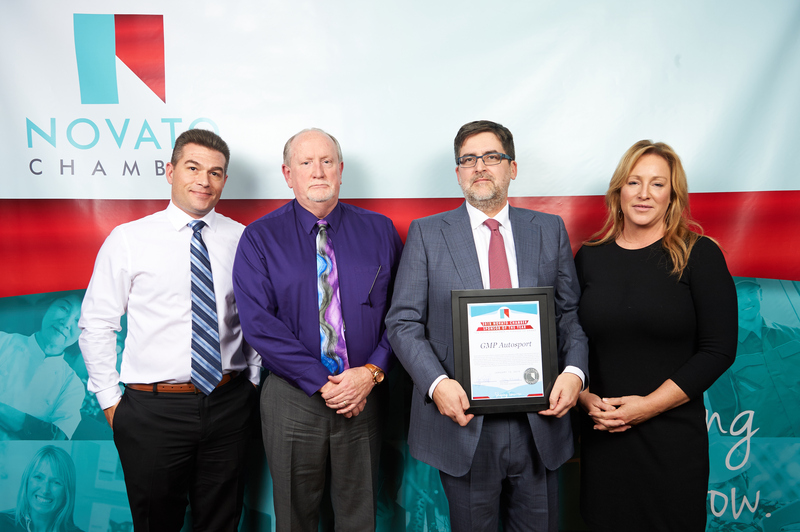 The Novato Chamber is pleased and proud to present Kona Ice of North Marin, as Novato’s 2018 Small Business of the Year. The Novato Chamber is pleased to announce three additions to the Board of Directors. Board Term terms officially begin in January. Thank you for choosing to serve our community with the Novato Chamber. The Novato Chamber is proud to welcome Patsy Fleisch as the 2019 President. She comes from many years of Chamber involvement and cares deeply for the town and the success of its business. She is BACK! After her year of mental regouping, the Queen is BACK! The Queen of Haunted Houses and MORE. Obviously, the Novato Chamber is more than excited to see Coree Cameron of Cameron, Cofee, & Kaye Professional Corp. returning to the board. He is BACK! After a few years off of the Novato Chamber Board, Courtyard by Marriott GM, Tim Howard, has agreed to serve another term. We are excited about his return and all that he contributes to the discussion. Welcome to Sherri-Jacobs. North Bay native, Sherri, represents Valley Memorial Park, Cemetery & Funeral Home. Along with personal connections, Sherri brings years of nonprofit work & fundraising to the Board. We are so please to announce Dale Kline has been added to the Novato Chamber Board. A Novato figure, Dale brings years of organizational leadership to the Board. What a year! 2018 saw great successes, thanks in part to the leadership and guidance from 2018's President Rick Wernick. We are so #NovatoProud of our president and thank him for the amazing year of dedicated service. While we are excited to bring on our 2019 Board, we are sad to say 'goodbye' to some real leaders who have given then Chamber a breath of new life. Many of these leaders will remain prominent heads of our community and will continue to serve the North Bay and business community in their future endeavors. We will miss them all and wish them the best of luck. Novato Chamber Board Members serve 3-year terms. Following two consecutive terms, Board Members MUST take one year off. Board members may return for two more consecutive 3-year terms following their year off. The Novato Chamber Board President serves a term of 1-year and may serve two-consecutive terms as President. After serving the Novato Chamber Don plans to continue volunteer and give back to Rotary and other North Bay business foundations. Serving a full 6 years with the Novato Chamber is no easy undertaking. Rafelina's enure brought great change to the organization. Along with serving as Vice President, and seeing the resurgence of Leadership, Rafelina helped implement a new life and appreciation for members relations that will help Novato continue to attract a strong business community. Thank you Rafelina, your dedication is second to none..
Tim Russell brought an energy to the Chamber’s Membership Committee and to the Novato Chamber Board that will be missed. He is leaving the Board after one term to focus his energy on family, his thriving business and another one of his passions--the Gilead House. 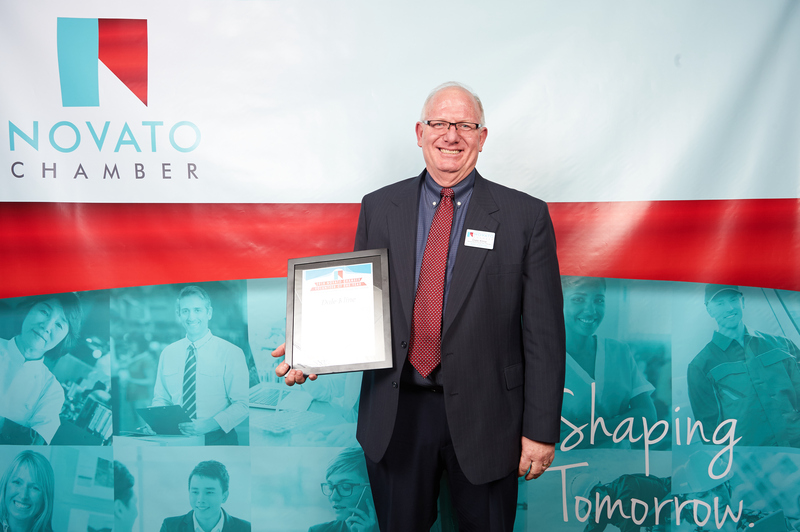 During his time, Tim reinvigorated our outreach to members, he brought more member benefits to the average member and has contributed to our ability to retain and attract new members. After serving the Novato Chamber Tim Russell plans to continue serving as President of the Gilead House. Committees enable the Novato Chamber to offer its members a divers slew of programs and events. Our volunteer committee chairs put in a ton of work to ensure that the programs and events offered to our members are successful. It is impossible to say how grateful the business community is for these leaders of the community. Together, with the Novato Chamber, we are breaking down barriers and opening Novato up for business. Together we are #ShapingTomorrow. Photos are courtesy of Rob Martel Photography. This year's Golf Committee was headed by the energy of George Athas. His energy brought new life to the event and has laid the groundwork for an even more revolutionary 2019 Golf Tournament. So many exciting developments are in store for one of the North Bay's longest-lived tournaments"
As chair of the 2018 Tourism Committee, Tim oversaw the growth of the Visit Novato branding and hotels saw an increase in leisure bookings and visits. Novato is also now poised to open its first, and Marin's second long-term extended stay hotel at Woodhollow Following completion of the construction. Under the leadership of Imee Birkett, Women in Business has grown its attendance to include 18-25 businesses. Women in Business focuses on the diversity of the businesses in our community and now, Women in Business goes on location to various locations around the community. Interested in Serving on a Chamber Committee? Click here and begin Shaping Tomorrow. I get to tell stories of the most interesting and challenging subjects one can imagine. My work has taken me around the world to Mexico, Kosovo (twice), Afghanistan (twice), South Africa, Korea, Israel, the West Bank, Vietnam, and Peru! I always try to do something that helps people. Along the way, I love the adventure, risk-taking, meeting new people and finding the connections to the Bay Area. My new role at ABC7/KGO TV allows me to travel a bit more for work to find those California connections that are changing the world. Lucky me to have this great job at ABC7! I get to tell stories of the most interesting and challenging subjects one can imagine. My work has taken me around the world to Mexico, Kosovo (twice), Afghanistan (twice), South Africa, Korea, Israel, the West Bank, Vietnam and Peru! I'm happy to say that in 2016, I was honored with my seventh national award from the Alliance for Women in Media. The top award is called the "Gracie." 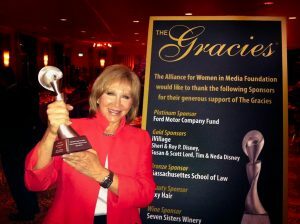 A previous "Gracie" award from the same prestigious organization was for a story that came to me through social media. A mother was fighting to save the sight of her daughter's fiance. Our tweets reached a Good Samaritan who donated the money for the eye surgery so the young man could see and work and support his family! 2013 marked a milestone for me! Anchoring the 5pm news for 25 years!! I've been told that is a record for a woman in this market! It's hard to believe. I am so grateful that our viewers have placed their trust in me for so long. Most of my work focuses on children and family issues as well as the environment. I didn't start out wanting to be a reporter. I wanted to become a teacher and in a way, it seems that I am able to do that with my job now. It was a journey to get here, but well worth it. My parents taught me the value of hard work, perseverance and public service. Mom stayed home and raised 7 children, while Dad served in the U.S. Army for more than 20 years, retiring as a Lt. Colonel. I am the eldest daughter, so I got plenty of experience changing diapers, feeding babies and baby-sitting! My husband and I do not have our own children, but we've had 10 young people and children of all ages live with us at different times during our marriage. My dad's work took us all over the world, including two tours in Germany. Dad also served in Vietnam and Korea. I changed schools more than a dozen times before high school! That part was tough, always leaving friends and learning to make new friends quickly. It all prepared me for life in TV! When I was 18, my parents gave me a suitcase and told me if I wanted to go to college, I would have to find a way! And I did: Thank you City College of San Francisco and San Francisco State University. Sometimes I could only take one or two classes a semester while working my way through school. Student loans helped as well. My college advisor told me there were too many teachers, so I had to choose another career path. I saw two women on television at that time and it was such a rare thing, that I summoned my courage and called them for an interview for a college paper. Much to my surprise, they said yes! 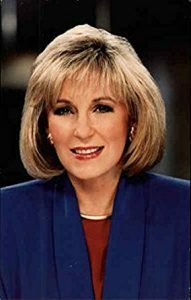 One of those women worked at Channel 7, as it was called back then. I was hooked. I wanted to be a news reporter! But, no one would hire me. I was rejected for volunteer entry level jobs 19 out of 20 times. A fantastic woman at an NBC radio station finally said I could work for her if I worked for free for 50 hours a week. I think she thought I would say no. I took the job and worked for 5 months for free while going to school. I was very, very poor. I eventually got a paying job as a receptionist and then worked my way into the newsroom. Finally, I was hired at the station where I always wanted to work: ABC7 KGO-TV! I started as the night reporter and worked my way to the anchor desk and host of "Beyond the Headlines." The story that will stay with me forever is the 1989 Loma Prieta earthquake. I was the first local reporter on the air, within 10 minutes after it happened. Our station's generators kicked in, while other stations couldn't get on the air right away. ABC had been covering the World Series game at the time, so we had a Blimp with a live camera flying over San Francisco. Our station led the bay area coverage and after it was all over, we received hundreds of letters from viewers thanking us for being there for them. That's when I truly understood how vital television is in providing public service. 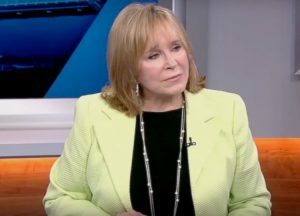 I am part of the news team honored with two of the highest awards in broadcasting: the George Foster Peabody Award for coverage of the Loma Prieta earthquake and the Radio Television News Directors Association Edward R. Murrow Award for the earthquake of '89 coverage. I mentor people of all ages. I consult with dozens of non-profits to help them raise awareness and money through broadcasting and on social media. In 2003, I co-founded a program to remove landmines in war torn countries. It's the "Roots of Peace Children's Penny Campaign." Bay Area school children helped raise 50 million pennies to remove landmines in Afghanistan. The money also helped build two schools there and repair four others. The campaign is expanding to Israel and the West Bank and Vietnam. I have reported for years on two organizations that help children with life-threatening illnesses: The Taylor Family Foundation and The Okizu Foundation. Our stories encouraged viewers to donate and help the foundations build brand new summer camps years ago. We are very proud of that continuing partnership. I started at ABC 7/KGO-TV in 1979 and I feel like the Bay Area is my big, extended family. Sometimes people come up to me and say "I grew up watching you and I feel like I know you." I treasure those comments...so keep them coming! You can find me on Twitter, Instagram and Facebook. 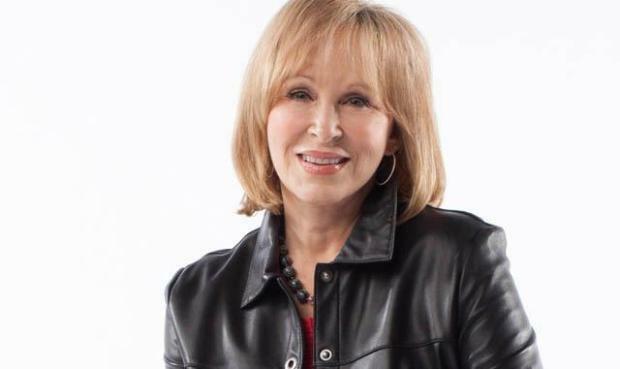 Cheryl Jennings has also been honored with nine Emmys. She is the host of the Emmy Award winning community affairs program Beyond the Headlines with Cheryl Jennings. She also files special assignment reports for ABC7/KGO TV. "My parents taught me the value of hard work, perseverance and public service. Mom stayed home and raised 7 children, while Dad served in the U.S. Army for more than 20 years"
I am the eldest daughter, so I got plenty of experience changing diapers, feeding babies and baby-sitting! Dad's work took us all over the world, including two tours in Germany. Dad also served in Vietnam and Korea. I changed schools more than a dozen times before high school! That part was tough..."
Anchoring the 5pm news for 25 years!! I've been told that is a record for a woman in this market! It's hard to believe. I am so grateful that our viewers have placed their trust in me for so long.